Liven up any room in your home and protect your furniture with designer coaster. Ceramic absorbent coaster with distinctive art design. Each coaster is 4" x 4" with cork backers for use on any surface. 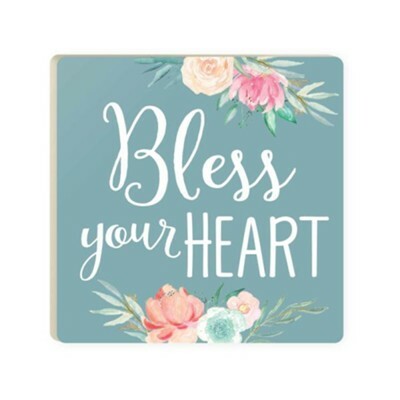 I'm the author/artist and I want to review Bless Your Heart Coaster.